Celebrating risk excellence - from saving money to saving lives. The IIRSM awards are independent, recognising innovative individuals, teams and organisations responsible for implementing best practice in managing risks and opportunities. Whether you work for a large multinational with big budgets and lots of resources, or an SME or charity with small budgets and limited resources - the principles of managing risks and opportunities effectively equally apply. Taking a 'risk-based' approach at all levels within an organisation is essential for strategy development, operational performance and a strong reputation. The awards are open to everyone and we receive entries from all sectors and types of organisations, no matter how large or small. Our inaugural Risk Excellence Awards proved extremely popular and it was a real pleasure celebrating the achievements of our winners, highly commended and finalists. Being a finalist, highly commended or winning provides a truly independent recognition of hard work, and showcases to employers, customers, clients and others the differences made to organisations, profession and society. The awards recognise and celebrate the successes of IIRSM members and the wider risk, safety and business community. The awards raise awareness of the benefits of risk management and encourages individuals and organisations to follow best practice. When submitting your awards applications, please note, some or all of the work and benefits need to have been achieved during the last year. Click on each category below to view the criteria. Barry Holt was an advocate of the risk management profession, well known for his academic accomplishments and knowledge. He worked with IIRSM from 2010 until his death in 2016. He spent 35 years providing consultancy and training services to many of today’s best recognised global industrial brands. This award acknowledges those that demonstrate excellence in risk management benefiting people, society or business. Open to individuals, teams, partnerships or organisations that can demonstrate innovation, collaboration and excellence in risk management, contributing to the success of an organisation and its stakeholders. A clear link between a risk management initiative and organisational goals. The impact the initiative had on organisational culture. What makes the initiative stand out. Evidence of the benefits the initiative has brought the individual, team, partnership or organisation. Entries are open to all and a supporting reference from a client, customer, manager, or other relevant stakeholder will be required. This award recognises effective risk management across multiple global locations. Evidence of a strategic approach to managing risks across geographical locations. Evidence of how culture, values and employer brand are applied to different regions. Entries are open to all and can be submitted by individuals, teams and organisations. A supporting reference from a client, customer, manager, or other relevant stakeholder will be required. This award recognises small and medium-sized businesses (fewer than 250 employees) that have transformed the way they manage risks in support of their business objectives. How your approach to managing risks has changed. How you overcame any barriers or challenges. What makes your initiative stand out and how you have been innovative. Evidence that the changes made have directly brought benefits to your people and organisation. This award recognises employers which have a clear health and wellbeing strategy that is both preventative and proactive in approach, and is at the centre of the organisation. This award recognises a team or organisation that has achieved a common objective through effectively managing risks and opportunities to successfully implement a programme. Some or all of the benefits need to have been achieved during the last year. How leadership has driven the programme across the organisation or division. Evidence of the benefits created by the programme and how these have been successfully integrated into the organisation or division. How proactively risks were overcome and opportunities maximised during the period of the programme and what were the outcomes. John Bennett was Chairman of IIRSM from 1996 to 1999 and was instrumental in the growth of the Institute having joined the Board of Governors in 1990. He was Honorary Life President until his death in May 2015. Recognising young talent was particularly close to John’s heart and the recipient of this award will be an apprentice or young risk or safety professional. Open to under 35s (including those who have turned 35 since February 2018) from IIRSM membership and the wider risk, safety and business community. Applicants will be required to demonstrate dedication over and above what is expected of them, and can show how they made a positive impact on an organisation or team to improve its culture and operational performance through risk or safety management. Demonstrate how they use their initiative to implement new solutions to meet organisational needs. Use innovative approaches to their work. Quantify the impact of their contributions to work. Demonstrate exceptional teamwork and collaboration working beyond silos in an effective way. Entries can be submitted through self-nomination or an applicant can be nominated by a mentor, client, supplier, customer, colleague or manager. If submitting a self-nomination entry, it must include a supporting reference from either a mentor, client, customer, colleague or manager. This award recognises outstanding mentors who have actively participated in the IIRSM, their company's or similar mentoring programmes, or are just individuals who proactively mentor others. The award acknowledges the time, dedication and contribution made to the advancement of his or her mentee and creating a successful mentor/mentee relationship. How sound advice and valuable information has been shared with their mentee to help advance and develop the mentee’s own career path. How the mentor has generously shared their valuable time and been accessible to their mentee and how they have imparted guidance and expertise to support, critique and help find solutions to the mentee’s objectives/challenges they are seeking help to overcome. Overall, how valuable has the mentee found the relationship with their mentor. To nominate your mentor, or a colleague or other professional peer who you know has done an excellenct job of mentoring someone else, please provide details using the criteria above. You do not need to provide a reference if you have direct experience of being mentored by the person you are nominating. You are also welcome to nominate yourself for the Award. In addition to explaining how you meet the criteria above, you will also need to provide a reference from someone who has been mentored by you as part of the application process. IIRSM’s President’s Commendation recognises a member or leading industry risk professional who has made a major contribution to the advancement of risk management or provided exceptional support to IIRSM and/or its membership, the profession or wider society. Nominations can be submitted to IIRSM setting out in no more than one page of A4, why somebody should be awarded the IIRSM President’s commendation. A shortlist of nominations will be presented to the IIRSM Council with their supporting statements. The Council will choose a winner who will be invited to attend the IIRSM Awards Dinner to collect the award. The winners of this year's Risk Excellence Awards will be announced at the Risk Excellence Awards & Networking Dinner on 22 May 2019 in London. Details of our Finalists can be found below. "Cardinus Risk Management is a proud sponsor of the IIRSM Risk Excellence Awards 2019. The awards contribute to the overall mission of achieving excellence within the risk management industry, and of its attendant mission of saving money and saving lives, something that Cardinus Risk Management feels very passionately about. The awards will demonstrate the breadth and depth of talent in the industry and we look forward to hearing from organisations and individuals about how they have achieved excellence in their work. Cardinus is honoured to be sponsoring the Barry Holt Award. Barry was a friend of Cardinus long before he set up our consultancy division in 2009. Barry was one of the most knowledgeable risk management experts with a global reputation. And, he was a truly decent human being who is sadly missed by all who knew him. This award honours his memory and represents his passion for excellence in our profession." Zurich Risk Engineering helps protect your business with the support of 800 risk professionals operating across 40 countries and with 75 years of experience. We provide data, tools and insights to help you make informed decisions around your risk management strategies and managing your total cost of risk. We carry out extensive consultation with you and your broker before starting work. Zurich Insurance Company’s mission is to help our customers both understand and protect themselves from risk and our philosophy is one of continual risk improvement. We believe sharing information is key to this process, so are proud to sponsor the IIRSM awards in 2019 and through this, support the development of best risk management practice and education. Multiplex has been delivering landmark property and infrastructure assets for over 50 years. They are a leading international contractor with a focus on sustainable growth and a presence in Europe, Canada, the Middle East, Australia and India. Established in 1962, Multiplex’s work to date comprises more than 955 projects with a combined value in excess of US$80 billion. With almost 7,000 employees across the globe, Multiplex has a mobile, collaborative workforce that shares knowledge and applies international best practice across all projects. Their expertise encompasses the residential, health, retail, commercial, tourism, education, engineering and infrastructure sectors, and as a group they have earned more than 700 industry awards. Multiplex has built a reputation in the marketplace for their collaborative, flexible approach – working in partnership with their clients and maintaining a shared focus on the final goal. They target the projects they believe in and work with partners and clients who share their values. Their current workbook across a diverse range of sectors reflects their strong reputation, which has resulted in a high proportion of repeat business. Multiplex is backed by the financial stability and global relationships of their parent company, Brookfield, which supports their continued growth. "SMEs are widely and justifiably recognised as the backbone of the UK economy accounting for 60% of private sector employment and 51% of private sector turnover nationwide. These businesses are vital to the UK economy and must be pro-active in navigating risks that an increasingly turbulent environment produces. The Awards & Networking Dinner is taking place on 22 May 2019 at Church House, Westminster, London. To find out more about the dinner and to book click here. Jon Abbott has over 20 years’ experience of ergonomics, safety and occupational health. Over that period he has worked with a wide variety of organisations in the private and public sector providing a full range of risk management solutions including software, e-learning and consultancy. Jon was instrumental in setting up Cardinus operations in America and across the globe, and is currently responsible for the global strategy of Cardinus Risk Management Limited. Dee Arp is a Chartered Safety and Health Practitioner of IOSH and a Fellow of the Chartered Institute of Educational Assessors. Dee moved into occupational health and safety 20 years ago whilst working at The Royal Society for the Prevention of Accidents (RoSPA). At that time Dee was a Technical Manager for Road Safety, which led to her involvement in the development of occupational road risk training. After becoming a qualified health and safety practitioner; she taught on a wide range of courses and also worked with several boards and committees to implement safety governance. 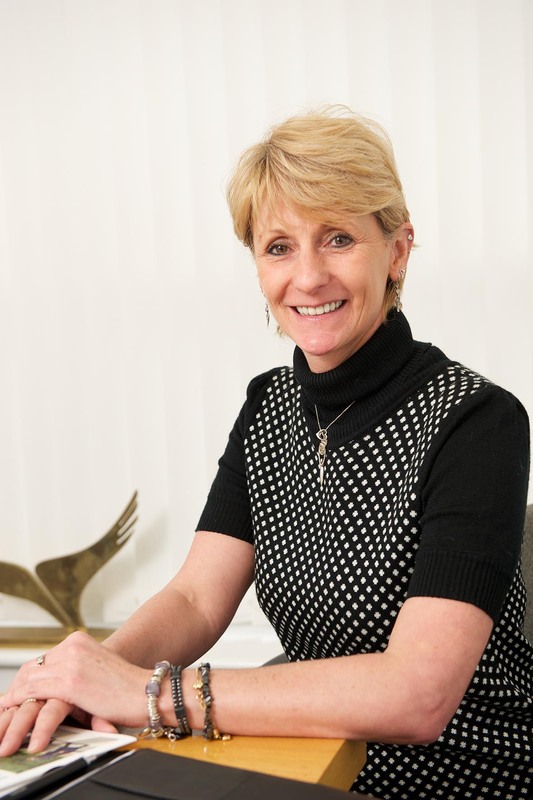 Prior to joining NEBOSH; Dee held the roles of Course Developer and Head of Occupational Safety for RoSPA. Dee is now NEBOSH Director of Technical Standards and has responsibility for providing leadership on all matters relating to qualification development and assessment of NEBOSH qualifications and on matters of compliance, including the accreditation of NEBOSH course providers. She oversees the implementation of agreed strategies and governance arrangements which protect the integrity of assessments leading to NEBOSH qualifications. Her previous experiences gained as a learner, provider and examiner are of great benefit to Dee in her role. Dee previously studied with Cambridge University for the Certificate of Continuing Education (Principles and Practice of Assessment) and is now undertaking further study with Cambridge University for a Masters in Education. Heather Beach is the founder and Managing Director of The Healthy Work Company. She has been running businesses in the health and safety community for over 20 years. Having started in information services running the first available health and safety service from HSE on CD-ROM at SilverPlatter - she moved to Barbour and then to Safety & Health Expo, SHP, and IOSH conference. 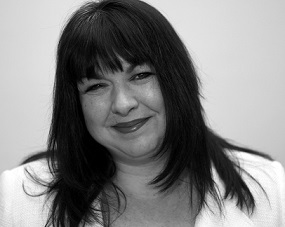 Heather is a specialist in organisational cultural change. A qualified coach, she and her partners and associates are committed to transforming the way in which the health and safety profession is viewed by the general public. 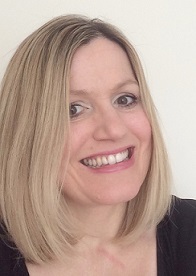 The founder of Women in Health and Safety and the Barbour webinar series which attracts over 3000 attendees a month - Heather continues to run both of these in partnership with UBM. She also writes for SHP. 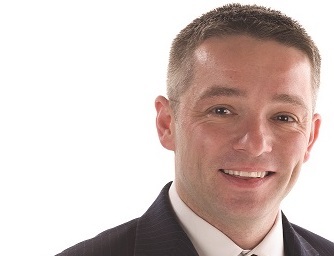 Matthew Cox is a Fellow of IIRSM and is currently employed as Regional QHSE Manager for the Bauer Group of Companies, overseeing its operations across the Middle East. 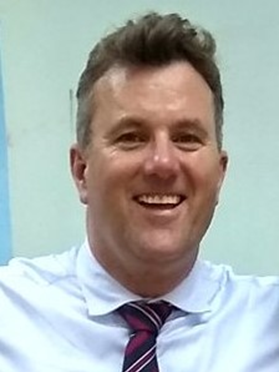 Matthew joined IIRSM in 2010 and assumed the role of UAE Branch Chairman in Oct 2013, overseeing its growth to become the most successful branch in the history of the Institute, and joined IIRSM's Council in 2018. In 2014, he was recognized by the UAE Ministry of Labour for his contribution to Occupational Health and Safety in the country and additionally, became the first overseas based recipient of the Prestigious IIRSM President’s Commendation award, in recognition of his services to the Institute in the region. Ruth is the Group Risk Director at ITV where she builds the approach to operational risk management across the Group and specifically both the Group Health and Safety and Insurance functions. 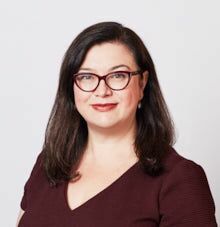 Ruth graduated with a degree in occupational health and safety in 1997, and her first role at the National Theatre was followed by a brief stint at KPMG and then the Prince’s Trust before moving to ITV in 2004. Her current role supports in the delivery of a risk management approach for a global, constantly growing and changing business where no two productions ever have the same risk profile. 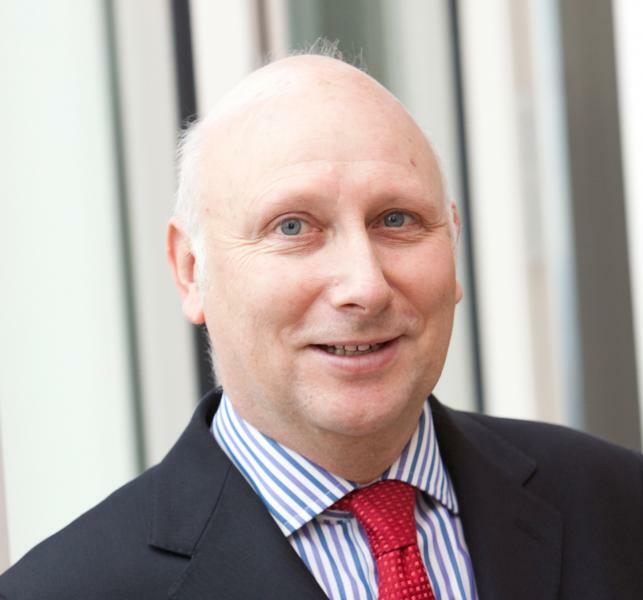 Steve leads Amarreurs Consulting Ltd, a specialist firm providing international business strategy, risk and resilience, occupational health and safety, and change management and consultancy services. Steve is a prolific writer on risk management and business strategy, risk in major projects, international development and on competency standards for the risk management profession. He previously served 12 years as Chief Executive Officer at the Institute of Risk Management (IRM). He is also a part-time university lecturer in risk management and a member of British Standards Institution's committee for risk management. In addition, he serves on several risk management committees for major organisations. Karla is a risk, business continuity and crisis management specialist, who works for VinciWorks, a leader in risk management software and consulting. On a regular basis, Karla deals with complex subjects that can challenge people’s core beliefs and behaviours, such as responding to a global cyberattack, terrorist attacks in various jurisdictions, as well as localised, office-based emergencies. Applying experiential and commercial knowledge and understanding how people might behave in such extreme circumstances has been invaluable in responding to such incidents. She believes that identifying and understanding complex interrelationships between various risks is essential to an effective enterprise-wide approach to risk management in a global business environment. Karla has previously held roles in knowledge management, compliance and communications. She is an associate member of the Business Continuity Institute (AMBCI), a certified member of the Institute of Risk Management (CMIRM), and member of Airmic. She is also an examiner for the IRM’s International Diploma in Risk Management (Module 6 - Crises, Resilience and Future Risks), and has been involved in the IRM and Airmic’s technical and membership committees. 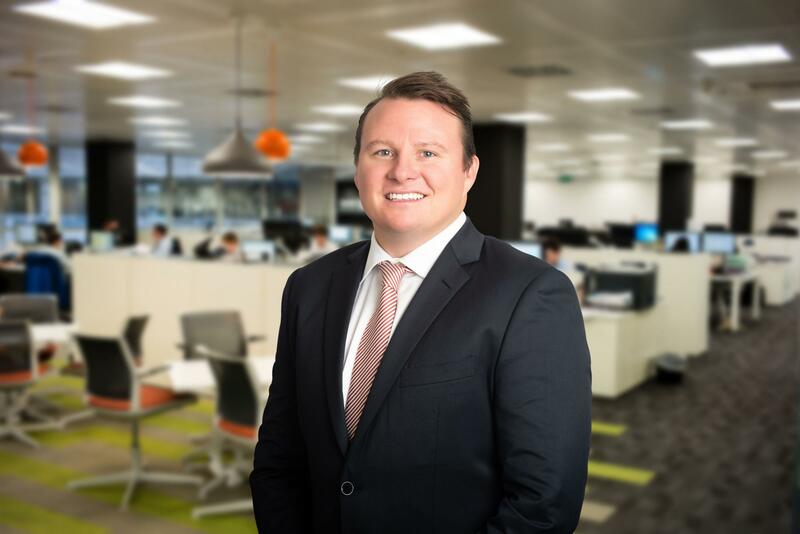 Callum is a risk professional with substantial experience both in industry and in supporting clients as Deloitte’s Health, Safety and Environment (HSE) practice lead. An active member of IIRSM, Callum is part of the Institute’s Education and Training Committee. Callum has a particular interest in innovation, both how technology might change the risks we need to manage, and how technology can be best leveraged to improve our ability to manage today’s risks. Originally trained as a Marine Engineer, for the past 30 years Chris has worked across the Oil and Gas sector globally: 19 years of which have been as a risk professional providing leaderhip and advice in key areas of HSSEQ at Corporate (strategic) and Operational (tactical) level. He has an MSc in Health and Safety Risk Management and is a Fellow of the International Institute of Risk Management (FIIRSM) and is an active member of the IIRSM Education and Training Committee. He has an interest in culture and behaviour also how technology can be best leveraged to improve our ability to manage today's risks. Whilst not an academic, Chris is the author/ co-author or a number of academic papers covering some very topical subjects, for example leadership, culture, behaviour, organisational incident investigation and learning and process hazard analysis and ageing assets. Hugh Maxwell is an international HSE professional, who recognises the importance of strategically managing business risks to deliver corporate success. An IIRSM Fellow for over 10 years, having led numerous change programmes in high-risk industries, he continues to look to support international business success in such processes. In one such role, as Global HSE Director Vesuvius PLC, he led one such risk reduction initiative, Safety Breakthrough. The tangible results of this management change programme resulted in him being awarded the 2018 IIRSM Excellence Award for Best International Risk Initiative. His risk management focus has mitigated workplace risks in numerous environments resulting in significant financial savings in insurance premiums, improved emergency planning, risk profiling, increased awareness and improved management focus for businesses. Stephen is an experienced sustainability and occupational health and safety professional who has worked in numerous market sectors in contracting, engineering and consulting. His career to date has seen him work across Australia, the Middle East, Europe and Canada. After graduating from the University of Sydney with a Bachelor’s degree in Science (Hons), Stephen went on to receive a Master of Engineering degree from the University of Technology Sydney. He began his career in Australia as a consultant specialising in Environmental Science and Occupational Hygiene before joining Multiplex’s Dubai office in 2011. In 2016, he was appointed to the position of Executive Director of SHEQ for the Middle East, and in 2018, he relocated to London as Executive Director of SHEQ for Europe, the Middle East and Canada. 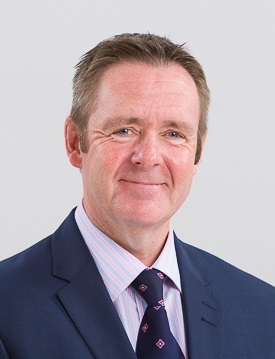 In his role, Stephen provides strategic and technical leadership to Multiplex EMEC and regional businesses, driving long-term value creation, business resilience and operational excellence in sustainability, occupational health, safety, quality and worker welfare. While based in the UAE, Stephen sat on the Emirates Green Building Council (EGBC) Board of Directors and was an Executive Member for the Institute of Occupational Health and Safety UAE Branch Committee. He is a member of the UK Green Building Council Leaders Network and a founding member of Building Responsibly– an initiative to promote the rights and welfare of workers in the engineering and construction industry. Stephen is also a LEED Accredited Professional (LEED AP), a Certified Environmental Practitioner (CEnvP – EIANZ), an Estidama Pearl Qualified Professional (PQP), a Fellow of the Chartered Management Institute (FCMI) and a Specialist Member of the International Institute of Risk and Safety Management (SMIIRSM). 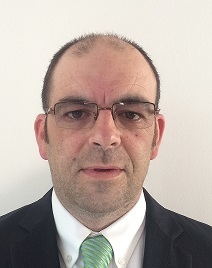 Glenn Ridsdale is the Managing Director of Gauged Solutions, and as a member of IIRSM he currently chairs the North East and Cumbria branch, having helped to establish it in March 2018. A career that started in aeronautical electrical engineering with UK based military flighter aircraft, Glenn has subsequently spent the last 20 years working in high hazard industries including power, oil, gas, petrochemical, waste and recycling, construction and Sub Sea, having held senior risk management positions in most. As comfortable on the shop floor as he is in the Board Room, Glenn is a Chartered safety professional passionate about both. Coaching executives or working with operational staff, Glenn specialises in both the human and technical aspect to managing risk. With an MSc in Behavioural Change, specifically related to occupational health and safety, Glenn has worked across the globe introducing cultural and behavioural based safety change programmes to a diverse range of organisations. One such behavioural change programme delivered by Gauged Solutions to Suez Recycling and Recovery UK Ltd, won the inaugural IIRSM Barry Holt Award for Outstanding Risk Management Practice at the 2018 Risk Excellence Awards Dinner. 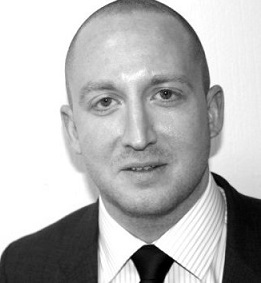 Chris Rowlands has spent more than 13 years in the Health & Safety recruitment industry. An economics graduate of Lancaster University, Chris joined The HSE Recruitment Network in 2004 and was appointed a Director in January 2012. He has led the company through it’s international expansion, the launch of “HSE Leaders Connect” – the industry’s premier networking platform for senior Health & Safety practitioners – and the development of psychometric profiling and testing tools that have placed the company at the forefront of candidate assessment techniques. 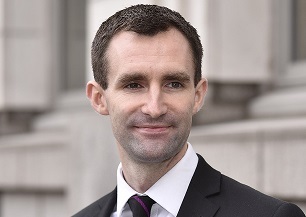 Chris is also a director of The HSE Recruitment Network’s sister companies; Network HR, experts in the recruitment of HR, Training & Wellbeing professionals, and Procurement People, specialists in the recruitment of Supply Chain & Procurement professionals globally. Paul is a qualified Risk Professional with over 17 years’ experience in liability risk management with a rich blend of achievements across academic, industry and management roles. Paul began his career as a Safety Advisor at ICI Paints in 2001 before moving on to regional and UK wide H&S Management roles at Carlsberg, Wincanton & SCA. 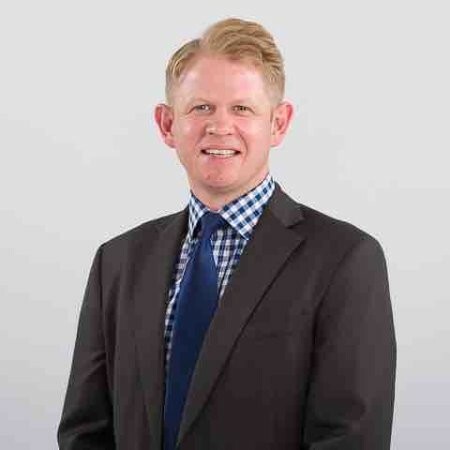 Paul started life in the Insurance sector at QBE Insurance in 2011 where he spent four years as a Senior Risk Manager before joining Zurich in November 2015 as a Practice Leader for Risk Engineering UK. Paul has experienced excellence in risk management across many industries. He has considerable experience of working with large, including multinational, multi-divisional/site organisations in all industries with the proven ability to affect positive change to the mutual benefit of customer and insurer. Paul has conceived, implemented and mentored initiatives that have delivered significant reductions in workplace accidents, removed complexity, improved commercial performance, regulatory compliance and claims defensibility. S imone is a certified risk professional and former IRM Chairman with proven success in driving the risk management agenda at Board level. 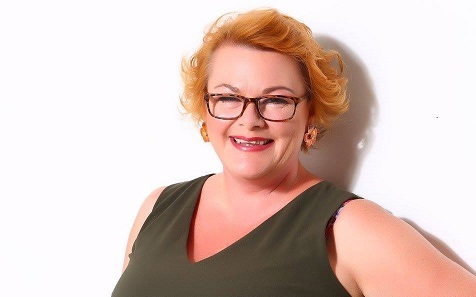 She has developed her knowledge, skills and experience through working within organisations across a range of industries in the private, public and not for profit sectors over the past 25 years. Her passion for risk management has been described as infectious. The deadline to submit applicatations has now closed. The awards are open to all and are free to enter. As part of the application form you will need to include a statement explaining how you or the individual, team or organisation you are nominating has met the criteria for the Award. Your statement should be no more than two sides of A4 but you can provide supporting evidence (photographs, images, graphs, presentations etc.) as Appendices. A a maximum one side of A4 is allowed for your supporting reference. Nominations will be shortlisted by an independent Awards Judging Panel and winners will be announced at the IIRSM’s Awards Dinner. If you are successfully shortlisted, you will be required to provide us with your company logo to be used on our website and in relevant pre and post marketing activities. Read all essential information (T&C, judging criteria, key dates) and complete the expression of interest downloadable application form. Email it to Holly Mulvihill-Clark on holly.mulvihill@iirsm.org to confirm your intention of submitting an entry. Submit your entry application form by email to Holly Mulvihill-Clark at holly.mulvihill@iirsm.org no later than 4pm on 28 February 2019. An email confirmation will be sent to confirm receipt of your entry within 24 hours. If you do not receive an email confirmation, please contact Holly. The judging process will be held during March 2019. Judges will not know the identity of the participant until award decisions have been made. The shortlist of finalists will be announced on the IIRSM Risk Excellence Awards website page on 25 March 2019 and all those who are shortlisted will also receive an email confirmation. Winners will be announced at the IIRSM Risk Excellence Awards Dinner in London on 22 May 2019. These are the terms and conditions to enter the IIRSM Risk Excellence Awards. Please read carefully prior to submitting your application. You must submit your entry following the process set out on the awards pages and set out in these terms and conditions. We will not accept responsibility for any entries that are lost, mislaid, damaged or delayed in transit, regardless of cause. For the avoidance of doubt, proof of posting or transmission of a lost or delayed entry will not be accepted as a valid or alternative entry. Our acceptance of your entry will take place when we accept your entry in writing. When we accept your entry, it will be subject to the awards terms and conditions. The awards are open to entrants that fulfill the entry criteria set out on the awards pages. Any material supplied in support of your entry must be your original work. We will not accept an entry that contains work which does not belong to you, has been plagiarised, includes intellectual property belonging to somebody else or has had a complaint of any nature upheld against it. Entries will be judged by a panel of judges. The judges will consider your entry on its merits and solely on the basis of the information you provide. The decision of the judges is final and we will not enter into any discussion with you nor will we accept any appeals with regard to such decision. We reserve the right not to award any particular award in any given category if submissions are not deemed acceptable. Your entry and any supporting documentation will not be considered confidential information unless you have clearly identified it as ‘Confidential’ and you agree that we can use the information (or parts of the information) contained in your entry for publicity purposes or in any other form of media for the purposes of promoting the awards. By submitting an entry, you agree your company logo can be used in publicity materials for the awards. You comply with all applicable laws in respect of such personal data. You have all permissions, consents and approvals of data subjects to provide their respective personal data to us to allow us to process such personal data in the course of meeting our obligations under the awards terms and conditions. You shall not or omit to do anything which causes us to breach any applicable laws or contravene the terms of our conditions or authorisation under Privacy and Data Protection Requirements. Any personal data provided shall be up to date, accurate and complete. If you breach the data protection clause, this entitles us in writing to immediately reject your submission or attendance at the awards dinner. If you wish to attend the awards dinner or, as an organisation would like to bring guests/attendees, then you will need to register separately to attend. To register to attend the awards dinner, you will need to complete the online registration form, which can be found on the awards pages. We will process your booking as soon as possible. Your registration is not confirmed until you receive an email confirmation setting out joining instructions. If you do not receive our email confirmation within 24 hours of submitting your registration form, please contact us at the email address on the awards pages as soon as possible before the dinner. It is your responsibility to update us of any changes to your contact details to ensure you receive all required communication from us. If you require any special requirements due to a disability, food allergies, diet, or for any other reason, please email us at the address on the awards pages as soon as possible, and no less than 7 working days before the awards dinner. Where you inform us of a special requirement less than 7 days before the awards dinner you understand it may not be possible to accommodate it, or it may incur an additional charge. The host of any corporate tables is responsible for informing us of any special requirements for any of their guests. Again, the timescales above must be met. You must comply with the rules and regulations governing the venue including dress code and rules of entry. If you bring property to the venue, you do so at your own risk. We are not responsible for any lost, stolen or damaged property. Attendees must be at least 18 years of age on the date of the awards dinner. We are not responsible for any offence caused by any presenters or entertainment at the awards dinner. You are required to make your own arrangements for transport, and of any guests, to the venue. We are not responsible for any non-attendance due to failure of transport. We reserve the right to refuse admission to any person whom we consider in our discretion to be unsuitable for admission or to remove anyone from the event. In any such case, no refund of fees paid will be given. We shall raise an invoice for fees payable and payment is due on the date of that invoice. In any event, payment must be made before the awards dinner otherwise we reserve the right to refuse entry (this will not relieve you from paying the invoice). Covering any bank transfer charges are your responsibility. All invoices payable by you are subject to any applicable tax, levy or similar governmental charge. We reserve the right to cancel (a) your entry, and/or (b) the registration of your attendance or attendees prior to the awards dinner. If we do not exercise our rights of cancellation prior to the awards dinner, attendees whose attendance fee has not been paid by the date of the awards dinner shall be required to pay on-site in order to gain entry. All costs and expenses incurred by us (including legal costs and expenses) in recovering sums due under an unpaid invoice shall be recoverable from you. We reserve the right to cancel, postpone or move the awards dinner to another venue or to change any other aspect of the awards dinner at our discretion for any reason whatsoever. However, we will notify you promptly if the change relates to a change of venue or material change in timing. For the avoidance of doubt, such a change shall not entitle you to not adhere to the awards terms and conditions. We reserve the right to change the awards dinner presenter or any other performers and do not guarantee the attendance of any particular guest. Any discounts or offers advertised for the awards dinner (such as "Early Bird" offers) may be time limited and/or subject to availability. Where we cancel an awards dinner we will refund any attendance fees paid, and we will use reasonable endeavours to notify you of such cancellation. We are not liable to pay any travel, accommodation or subsistence costs incurred in attending the awards dinner. If you wish to withdraw your entry, you must email us at the address set out on the awards pages. Where you withdraw your entry more than 14 days after registration to attend the awards dinner, or on or after the closing date for awards entry (whichever is earlier) there will be no refund. If you wish to cancel your attendance at the awards dinner you must email us at the address set out on the awards pages as soon as possible. If you cancel 20 or more days before the awards dinner we will refund your attendance fee in full, though we reserve the right to retain an administration fee. Where you cancel less than 20 days before the awards dinner there will be no refund. If you cancel a booking or withdraw your entry and there are outstanding payments you may be liable for payment of the full attendance fee as appropriate, or cover the costs incurred in promoting your entry as short-listed depending on the date and time of the cancellation. If you (or if any of the attendees you booked) cannot attend the awards dinner we may allow a substitute attendee at our discretion, provided the request is made no later than 72 hours prior to the awards dinner. Any such request must be made by email to the address set out on the awards pages and should include the name of the attendee who will not be attending and the full name of the substitute, including their job title, organisation and contact details. If the substitute delegate has differing requirements (e.g. dietary) from the original, we may not be able to accommodate these if the request is received later than 72 hours or an additional charge may be incurred. Any acts or omissions of yourself, your employees, agents, contractors, visitors, attendees and/or guests at the venue arising out of or in connection with the awards dinner and/or the venue. Under these terms and conditions, our maximum aggregate liability to you (whether arising in contract, tort, negligence, statutory duty or otherwise) shall not exceed the fees you paid to us. We shall not be liable to you for any delay or failure to perform hereunder due to a natural disaster, actions or decrees of governmental bodies, any curtailment to or cancellation of public transport, strikes or walkouts, acts or threats of terrorism or civil unrest, or communications line failure which (a) hinders, delays or prevents us in performing any of our obligations, (b) is beyond our control of without our fault or negligence, and (c) by the exercise of reasonable diligence we are unable to prevent or provide against ("Force Majeure Event"). In such circumstances we reserve the right not to refund your registration fees and advise that insurance should be taken to cover such eventualities. A Force Majeure Event shall not entitle you to delay payment of any sums under the awards terms and conditions. You are responsible for making your own way to the venue for the event, and you shall remain liable for all payments under these terms and conditions irrespective of any failure of transport or other reason why you are unable to attend the conference. You agree that we shall be entitled to refer to you as a client in sales and marketing literature (including websites) and reproduce your prevailing logo or trade mark for that sole purpose. During the awards dinner we may be shoot video footage and take photographs of the awards dinner which may include video footage and photographs of you and/or your booked attendees. You agree (and confirm that you have procured agreement of your booked attendees) to yours and/or their inclusion in such video footage and photographs and we have the right to use such video footage and photographs in our marketing, publicity and advertising activities and materials. Any disputes under these terms and conditions, or claim arising out of or in connection with them, whether in contract, tort (including negligence), breach of statutory duty or otherwise shall be governed by, and construed in accordance with, the laws of England, and shall be subject to the exclusive jurisdiction of the English Courts. Our inaugural Risk Excellence Awards have proved extremely popular among the membership and wider risk and safety community. It has been a real pleasure celebrating their achievements, and we congratulate all winners, highly commended and finalists for their exceptional hard work, and the invaluable contribution you all make to your organisations, profession and society at large. "I was really happy and ecstatic. I have never been at such a high-end event. I was very nervous and humble because I knew I was surrounded by the most experienced professionals involved in risk management. To me, winning was n achievement highlighting all the hard work and everlasting efforts we have done as a team to improve health and safety standards." - Louis Simo, Health and Safety Assistant, Multiplex Construction Europe Ltd. Winner of the John Bennett Award - Exceptional Young Person of the Year. "It was an opportunity too good to miss. As soon as we were made aware that the IIRSM were holding their inaugural Risk Excellence Awards, we wanted to be there. Power Electrics is a forward thinking organisation, so what better way to showcase our safety record than make an attempt at these prestigious awards. Actually making the final for the Best SME Risk Initiative was a massive achievement for us, and demonstrated to our peers that all hard work had been recognised. Actually winning the SME Risk Initiative was the icing on the cake. Please view our winners and finalists here.